Enjoy Sunday dinner flavour on a weeknight! Preheat oven to 350°F. Place chicken and carrots in 13x9-inch baking dish. 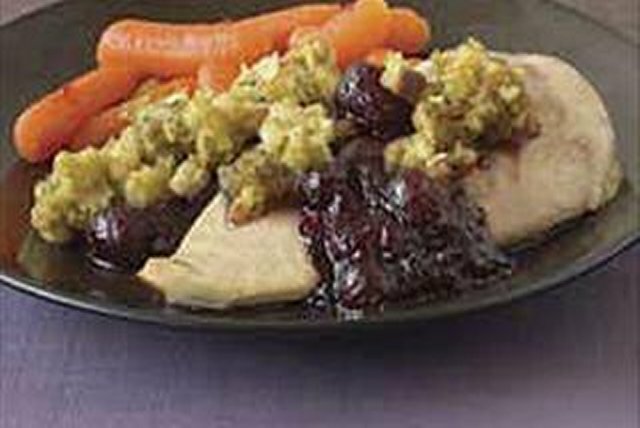 Mix cranberry sauce and dressing, spoon over chicken and carrots. Prepare stuffing mix as directed on package using 1 cup water. Spoon over cranberry mixture. Bake covered 50 to 55 min. Uncover during the last 10 min. to brown the stuffing.